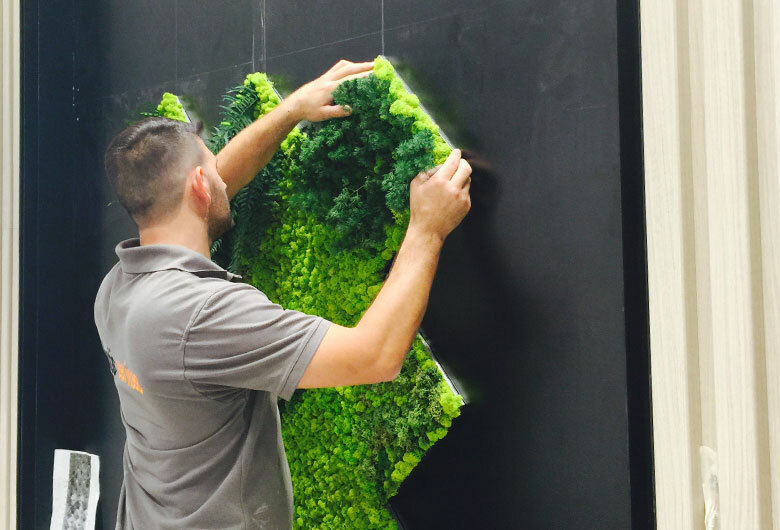 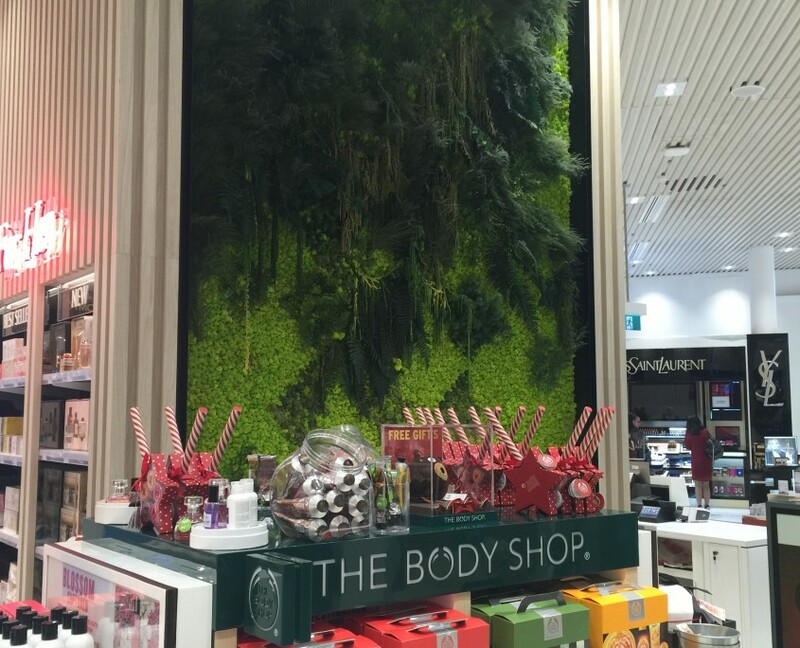 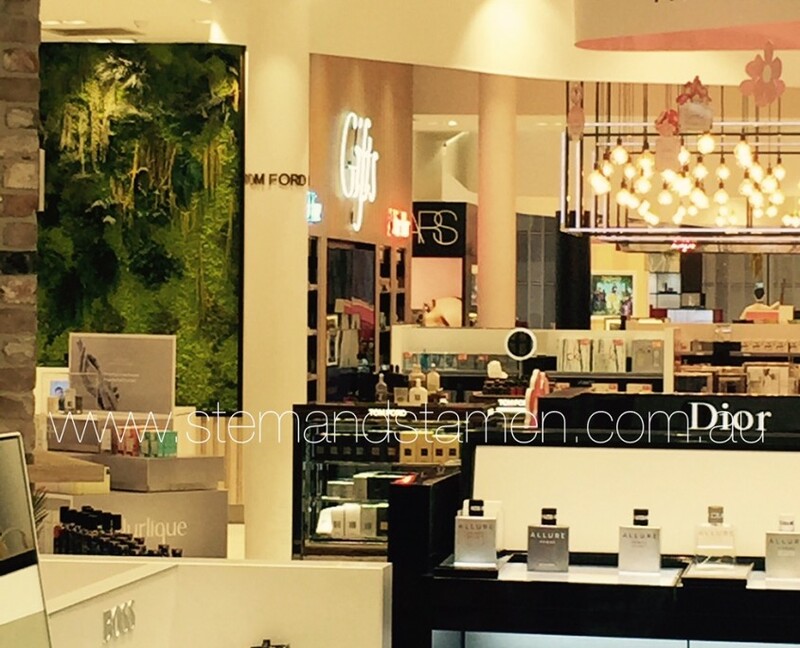 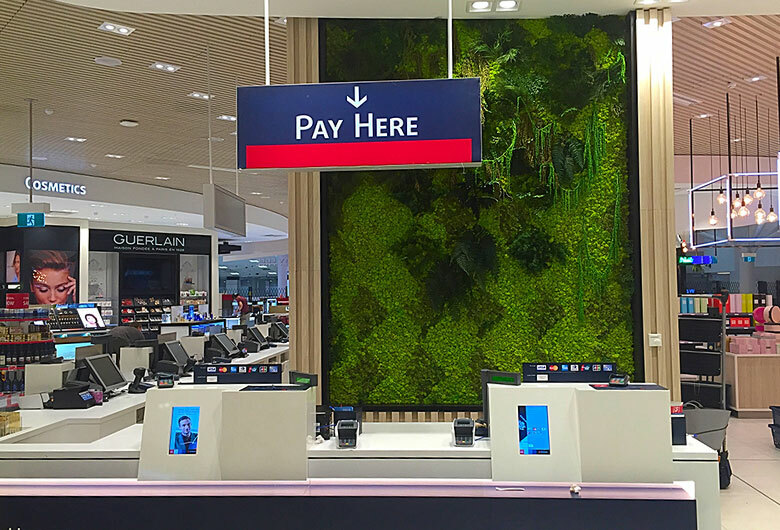 Our client Geyer and Heinemann approached us to develop a design for floor to ceiling greenwalls to provide a backdrop to the Duty Free area of the Sydney International Airport that would breathe life into the space that was otherwise void of natural light and natural elements. 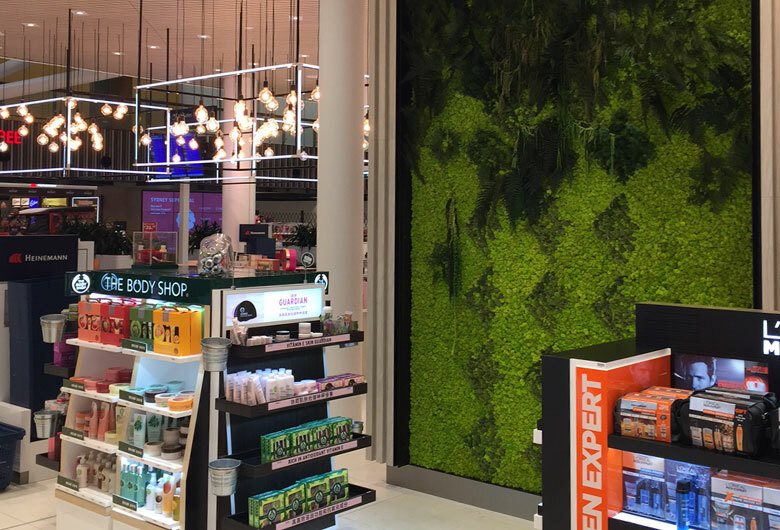 Space in the Duty Free area is at a premium, and this particular space was to be filled with merchandise and heavy pedestrian traffic so the depth of the backdrop was to be limited to 15cm. 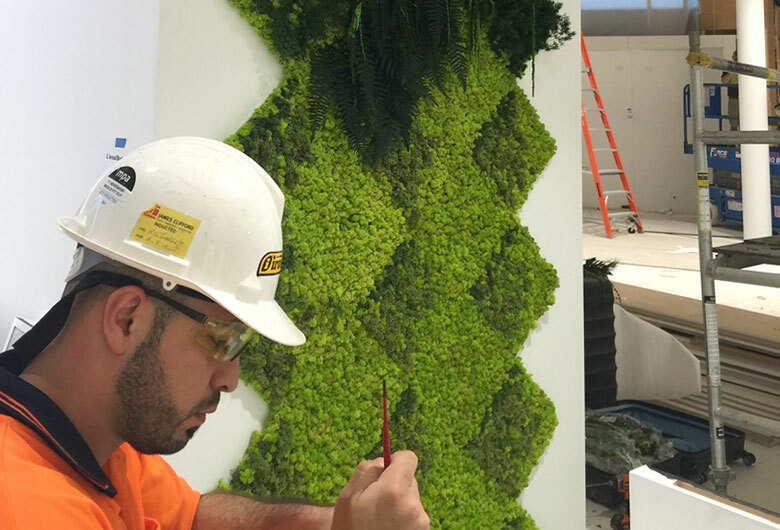 Stem & Stamen went through the range of species that would be appropriate for the depth limitations of the greenwall and that also met the overall feel that was to be influenced by a geometric undercurrent with a feeling of overgrowth and a lush established landscape.